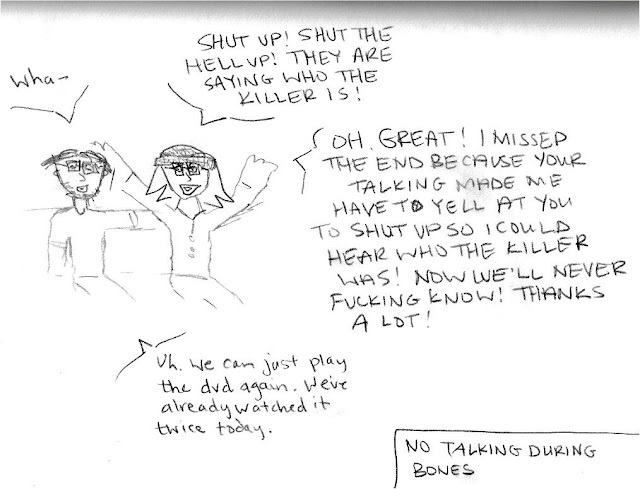 I care too deeply about the plot lines of Bones and Buffy. Even though I have pretty much everything memorized, it's a time of deep meditation and spiritual growth for me. NO TALKING DURING BONES!!!! Agreed.